So I went on my way, angry that mobile technology couldn’t keep up with my ultra-geek needs. Just a few years later, mobile technology has advanced to the point where visiting a website as simple as eBay is child’s play. Today you can check movie showtimes, email videos clips and pictures (captured with the phone itself) to your friends and family, and you can use applications like Fring to chat with your IM buddies without using up a single minute of your cellphone time. Now you can moblog with Blogger. One of the relatively newest mobile Internet advances is a phenomenon known as “Moblogging,” or mobile blogging. 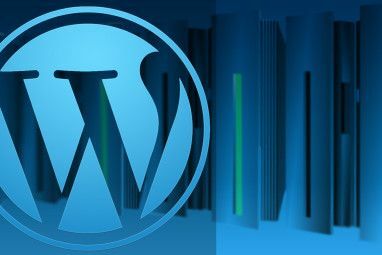 The way this works depends on which blogging platform that you use, but generally it involves sending a text message or an email to a particular address, and that message is automatically routed to your blog as an instant update. Why would anyone want to blog from their cellphone? If you consider the possibilities, it’s pretty obvious how this can come in handy. Post updates to a blog while you’re hiking the Appalachian trail. Investigative journalists can instantly publish breaking news to a news blog before anyone else. Publish a snapshot of that UFO to your blog before the FBI can confiscate your phone. The possibilities are limited only by your own imagination. Many websites that provide for mobile functionality require cellphone users to have an expensive data plan for their cellphone account. However, Google found a way to provide all cellphone users with the ability to moblog with nothing more than a text message. However, if you do have a data plan, Google also offers the ability to post even more content, including images, to your blog by simply emailing your post to a special Blogger email account. Setting up your phone to moblog with Blogger is very simple. First, you just need to either text or email a message “REGISTER” to go@blogger.com from your phone. In my case, I have a data plan, so I used Yahoo Go to send the email to Blogger. Within barely thirty seconds of sending the email, I received the following response back from Blogger. A few seconds after receiving this response, I received a second response with my new blog name and the claim code. This code is how you can connect this particular device with any blog you like. The next step is to use the code to claim your new blog. To do this, get on any regular computer (not your mobile device) and visit go.blogger.com. On the right side of the page you’ll find this Sign In area. Enter in the claim code that Blogger just emailed to you, enter the human code below it, and then click continue. 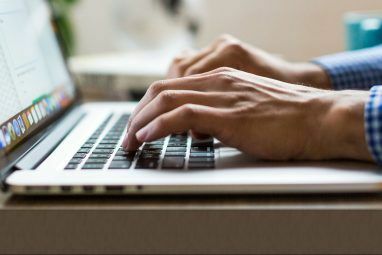 If you sent the “REGISTER” command with the same email address that you used to register existing blogs with Blogger, the system will recognize that you have other blogs, and provide you with the option to connect your mobile device with those blogs. The new blog assigned to my mobile device was owlnut631, but on this screen, Blogger recognizes that I have three other blogs and offers the option to change where my mobile posts are published. Finally, I click “Switch to Better Content,” and I’m done with the registration and set up process. If you don’t have any other blogs, then you can keep the default blog that Blogger created for you as your new mobile blog. Also, if you sent the “REGISTER” command from a different email address, you’ll need to go into your mobile blog and modify the “Mobile Devices” setup displayed on your Blogger Dashboard page. Now that the mobile account is set up to forward posts to the correct blog, all you need to do is make a post! If you are sending Instant Messages to go@blogger.com to create your posts, the procedure is pretty straightforward. The MMS text you type in becomes the post. If you send an email from your phone, you have a little more flexibility. If you send an email from your phone to go@blogger.com, the subject becomes the post title, the body becomes the post itself, and you can even insert pictures as you would with a regular blog post. To test it out, I sent the following email to go@blogger.com. After sending off the email, within just a few seconds I received confirmation back from the Blogger gateway that the post was successful. I couldn’t believe it posted so fast, but sure enough, when I checked my blog I discovered the post. Do you post to your blog with your cellphone? If so, what have been your experiences with it? Good? Bad? 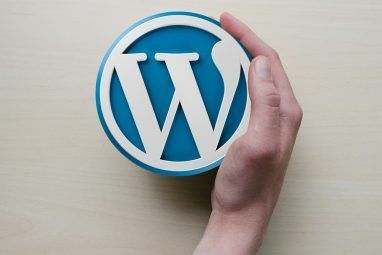 What about moblogging to other blogging platforms such as WordPress? Does anyone have any advice on how to go about it? Explore more about: Blogging, Mobile Blogging. Thanks! This was a really great and really helpful manual...I never would have figured it out! Every time I try and register my handset I just get a reply saying 'you need to register this handset' with instructions of what I have already done. I have the same question with Stephanie. Shreela, when you create a new text message you'll see 123 down towards the bottom. Click on that and then select Abc - that will give you the option to enter a text-based addresss. Thanks a lot - it worked like a charm. Is there anyway to have comments sent to your phone? owlman, thanks for the feedback! The way I do it is just to configure comment alerts on my blog to go to an email account that I receive on my cellphone. 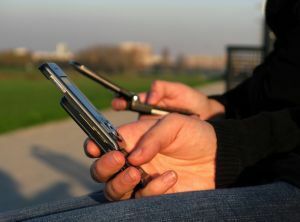 If you can only get SMS on your cell, you could configure blogger or wordpress to send the comment emails to a free email-to-SMS service like SMSCountry.com. This is a great step-by-step explanation. I mobile blog quite frequently with blogger. Does anyone know how to include TAGS with your blog post when sending it from your phone? At this point, I'll post from my Blackberry but later I have to go onto the blogger site from my laptop and add the appropriate tags to each post. Another brilliant option is posting via Jott. I'm guessing my phone is about 1 1/2 years old, but I can't find where I'm able to send text messages to an email address, only another phone number. Too bad it's not setup with a number like twitter. There are many mobile blogging platforms right now, I think the best integration from cellphone to blog is through a program called shozu(shozu.com) it has interfaces for all the major blogging platforms and is easy to install and use. Lots of my website htpp://www.sleepywhisper.com has been helped out by shozu.